I haven't been to Penang for some time now but a little research has shown that there is so much more to see on this island now! It only takes 30 minutes to fly from Kuala Lumpur to Penang so we should really visit more often. Thank you warga Instagram for showing the beauty of Penang. No more posting the same ol’ Penang cendol and assam laksa on your Instagram now. Here are some shots to inspire you for your next trip to Penang. Hands up if you have watched The Little Nyonya and loved it! You will love this place even if you’re not a fan of museums or history. The Pinang Peranakan Mansion was once the residence and office of Kapitan Cina Chung Keng Kwee and has been converted into a museum dedicated to Penang's Peranakan heritage. It shows the typical home of a rich Baba from a century ago - the entire place is just BEAUTIFUL 💕 Do be careful when taking photos here as there are over 1,000 pieces of antiques and collectibles of the era on display. Another option is the Cheong Fatt Tze Mansion or 'The Blue Mansion' which also serves as a boutique hotel now with 18 rooms and restaurants. Built in the 19th century, restoration works have maintained much of its old world charm. Loving all the shots with the iconic blue walls (it is The Blue Mansion after all..) but this photographer's work really caught my eye. The wooden buildings, walkways, and sampans in the area make for great photos but this is undeniably Instagrammers' favourite spot. Shots here look best on a sunny day or you can wait for sundown to capture the pastel skies. This is considered one of the must-go places in Penang for tourists. This vast temple is very relaxing and humbling with amazing architecture, gardens and pagoda. Make sure you make your way slowly to the top (while taking photos of course) where the enormous statue of Guan Yin is located too! True to its name, this cafe is quite narrow 😂 but as they say, size doesn't matter; because will you just look at the decor inside!? 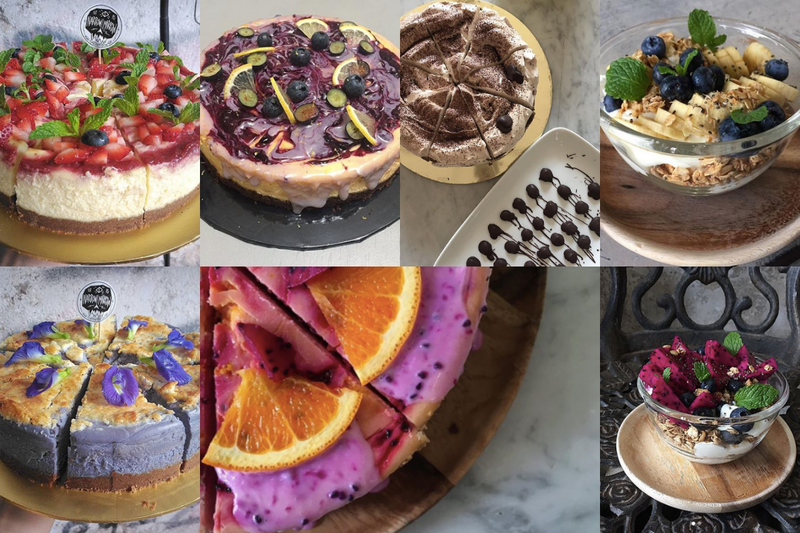 FYI, the cakes there are also ridiculously Instagrammable with their bold colours. It's almost like they're MADE for IG. No shortage of pretty cafes in Penang alright.. "A beautiful rustic 2 storey heritage building, for coffee lovers and food hunters." Time your visit here to get the best sunlight shots in the outdoor area. The size of their Big Breakfast is no joke but you can also order the Avocado Toast 3 Ways and Rose Latte for some aesthetically pleasing photos. 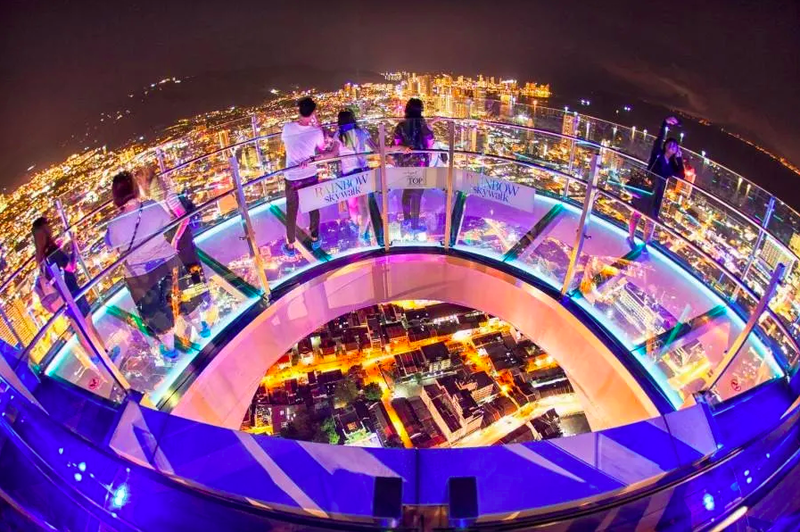 If you're feeling adventurous, head to the top of Komtar tower which overlooks the island. This is the Rainbow Skywalk on the 68th floor (rooftop). It's open until 10/11pm and the night view is fantastic. If the Rainbow Bridge above doesn't scare you, you might be interested in the 230m Langur Way Canopy Walk and Curtis Crest Tree Top Walk at The Habitat Penang Hill. Apart from taking photos, you can admire the beauty of Malaysia's 130-million year old rainforest. The Sunset Walk is also recommended - it's basically the Curtis Crest Tree Top Walk, evening version. Ahh.. Making this post really makes me miss Penang. If you're heading there soon, you can check out Traveloka for some Kuala Lumpur to Penang flights instead of driving there.